During NYCxDESIGN we also had the chance to show at Sight Unseen's OFFSITE with 15 other studios from across the United States in REFLECT curated by JOIN Design. The designs centered around the common theme of reflection and were restricted by size and a single material. 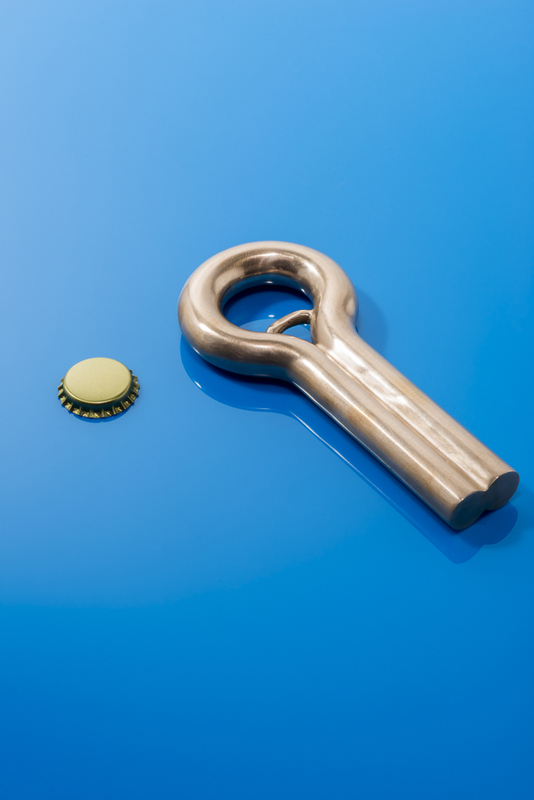 Our contribution was our new Reflect bottle opener cast in solid bronze. Its overall shape is reflected on two planes. Its materiality shimmers warmly with reflected light. And its use as a bar tool aids in the often art of reflective drinking. The amazing photos above and below were taken by Amanda Ringstad. Read more about the show at Fast Company, Design Milk and Core77 or by checking out the hashtag #reflect_SUO. Huge thanks to JOIN curators fruitsuper and Melanie Abrantes as well as Civilization who created all the graphic design. We are proud to debut our latest collection of furniture, lighting and rugs at the International Contemporary Furniture Fair, Booth 803, May 14 - 17, at the Jacob K. Javits Center in New York as part of NYCxDESIGN. Our new collection includes a series of furniture and lighting utilizing large graphite cast glass elements (seen above) made with Seattle artist John Hogan and biomorphic braided wool rugs made in partnership with Colonial Mills in Rhode Island. In addition, we will be showing new lighting that explores layered texture, as well as new shapes and finishes of our popular Dish table series. 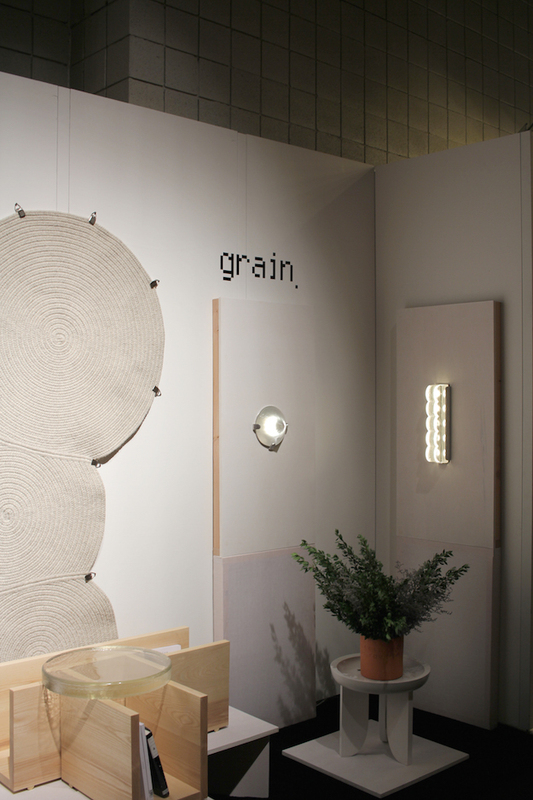 Along with ICFF, Grain is also showing a new piece in the REFLECT show curated by JOIN at Sight Unseen's OFFSITE at The Grace Building, May 13 - 16. For more info on any of our work, please email Chelsea Minola at chelsea (at) graindesign.com. Hope to see you in New York!